CCD REGISTRATION FORMS are now available in the vestibule of the Church. These should be completed by parents whose children are to receive the sacraments of First Holy Communion or Confirmation next year. Classes will begin on September 13th. Please submit the registration form by August 31st. 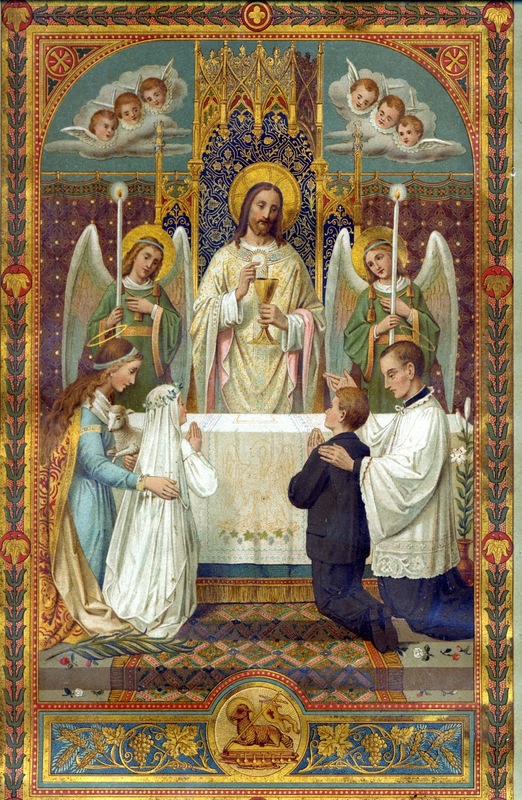 The age for First Communion is seven and for Confirmation twelve and up. For your convenience StMichaelCatechismRegistrationForm which you can download to your computer and print from home. Please do not wait until the last minute to turn these in or to get these started especially if your child was not Baptized or received First Holy communion at Saint Michael’s and you might need to request a certificate from another parish as proof of the Sacrament received. Ideally, you would turn your registration form in with the certificate(s) needed but if you do not have them on hand, please turn the registration form in as soon as possible so that we are aware of how many children will be participating in CCD this school year. Once we have those an email will be sent out to the parents directly with the schedule for this year.